This is the second post for the year and I couldn’t have been more shameful 🙂 The new house, and the distance to the new office is eating up my time like never before. It finally triggered me to write this post because of my colleague and my friends who live in the US who vehemently said they will not accept whatsapp or verbal explanation of this recipe! 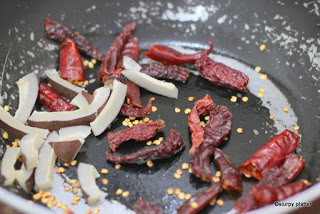 be great to give it a face lift with a rice and gathered my thoughts about the ingredients that would go well with it. I instantly tried and it was super delicious. Reviews and feedback from the husband’s office, my family & friends and my colleagues was more than just positive and appreciative! Soon I sent this as an entry to a blogging contest and won the 2nd prize! So how can an award winning recipe not go into this space of mine that I identify most with? I always made this recipe when I was pressed for time, for lunch box, for a quick weeknight meal or a lazy Sunday brunch too! So I’m sure you would love to try it as well. Go ahead.. try and let me know how it turned out for you! 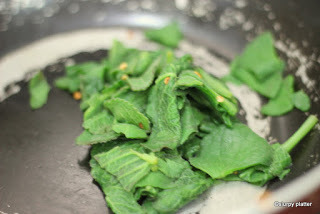 Doddapatre is also known as Indian thyme/ Indian borage has thick fleshy leaves with a coarse texture. 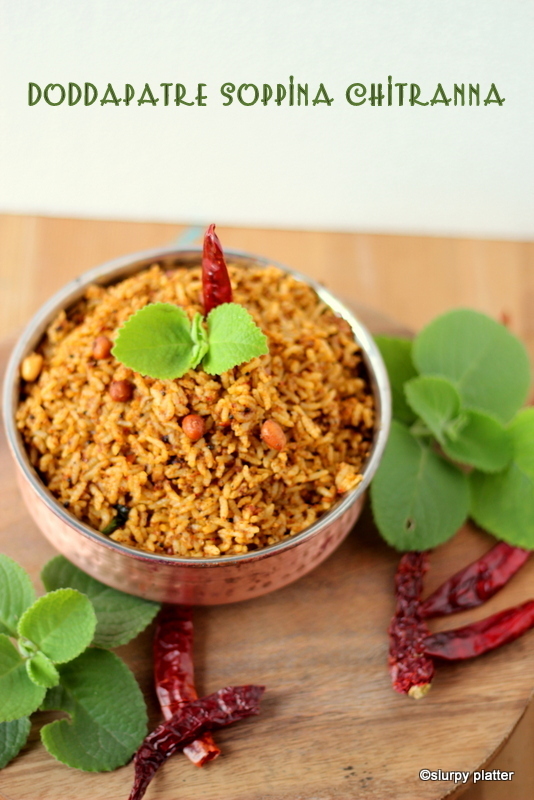 You can find doddapatre leaves in most Indian household especially in Karnataka. It is used as a ‘Mane Maddu’ (meaning- common home grown medicine in Kannada). 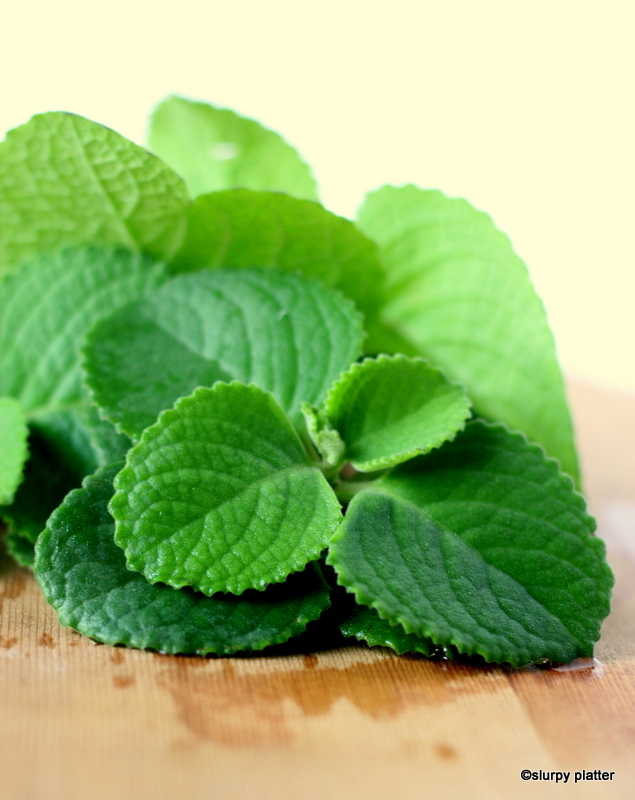 It is widely used for making tambuli, chutney and also as a cough and cold relief. Doddapatre has several health benefits and is extremely good for skin allergies and cough. In fact a concoction made of doddapatre with honey is an instant relief for dry and wet cough. It also instantly relieves skin irritations and itchiness. If you do not have doddapatre at home you can get them at your nearest garden store/ nursery. 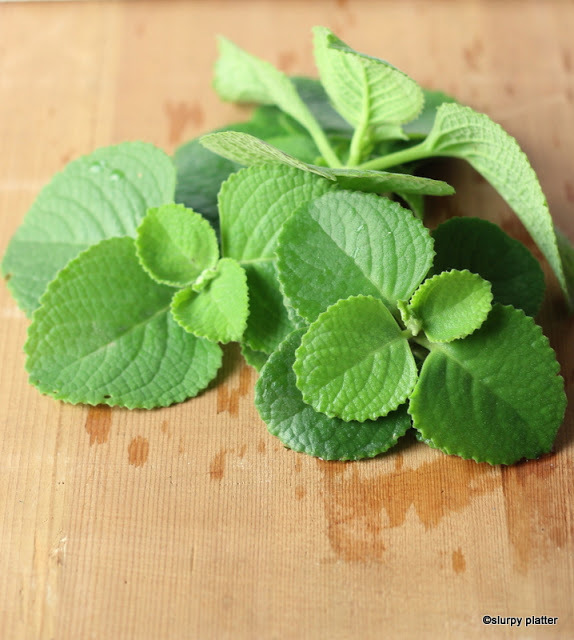 Trust me, it is helpful any day to have a dodapatre plant at home as it grows rapidly and can be used as a medicinal herb anytime you want. It requires minimal care and maintenance. You can water them once in two days during winter and once a day during summer. Here you go… Doddapatre Soppina Chitranna. 1. 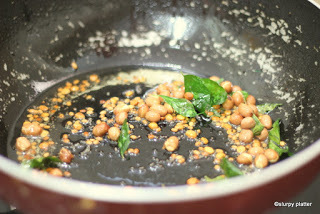 In a wide bottomed vessel (kadai) heat a tsp of oil and add the urad dal, channa dal, jeera and roast them onmedium flame until they turn golden. 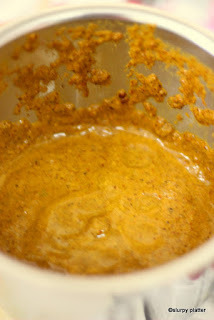 Transfer it to a mixer jar( blending/pulsing jar or food processor). mixie along with other ingredients. the same kadai and fry for a minute or so until the leaves wilt. 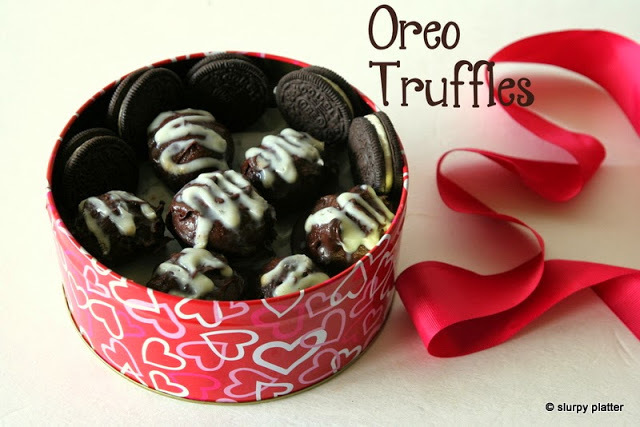 Transfer this to the mixie jar as well. 4. Now grind all the ingredients to a smooth paste using little water. 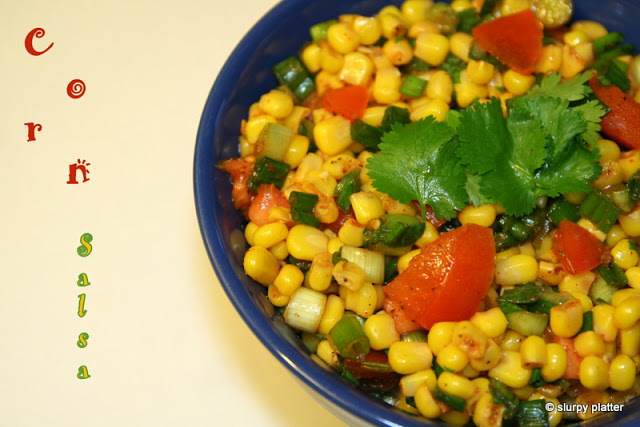 You can make the paste and store it for about 4-5 days in the refrigerator. 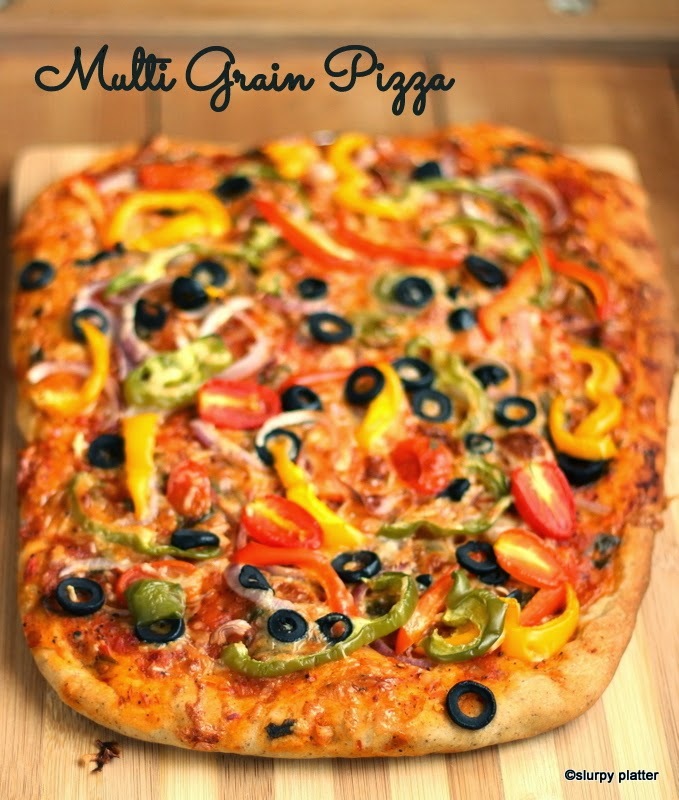 Definitely a saviour for yourquick lunch box or weeknight dinner if you are pressed for time. 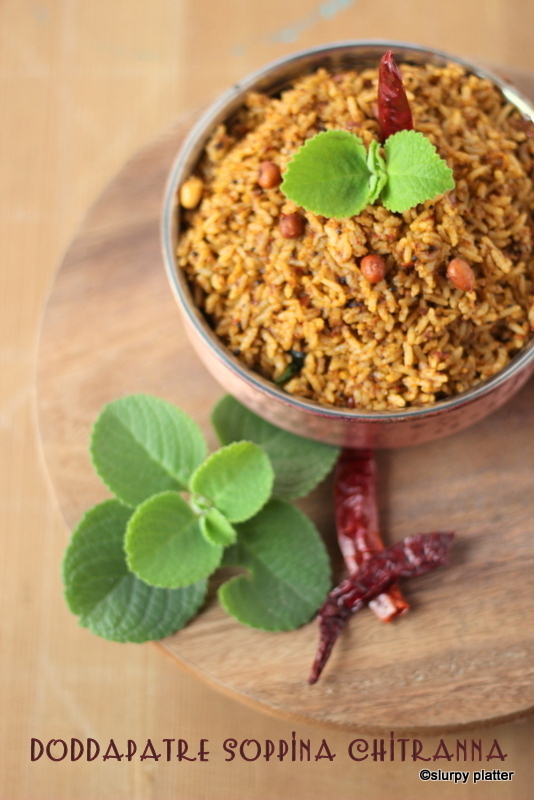 You can also substitute rice with broken wheat, red rice or foxtail millet if you do not prefer white rice. 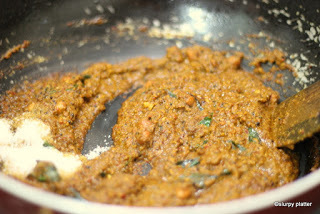 You can use the paste as a chutney for dosa and idly as well. 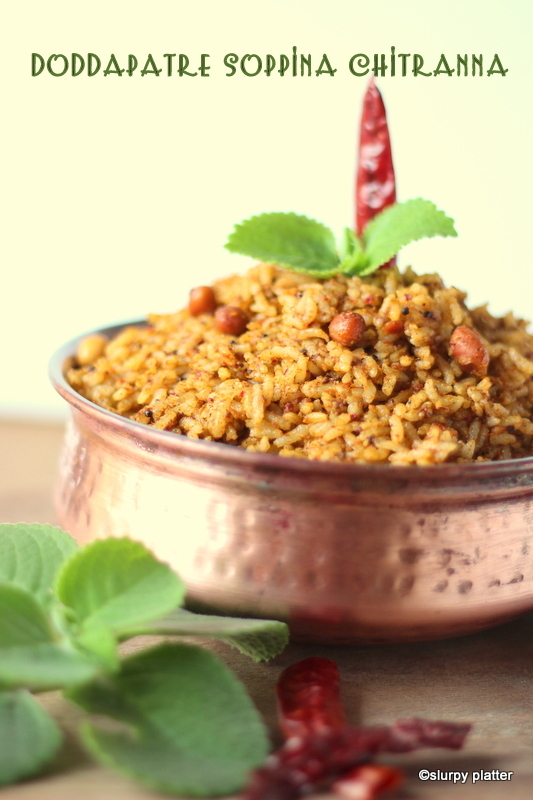 Make sure you don’t add the groundnuts when youtemper if you are using it as a chutney. 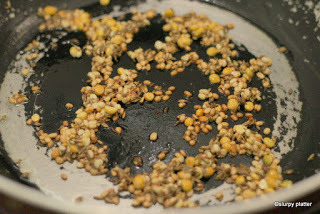 Or perhaps grind the peanuts along with the other ingredients if you prefer a nutty taste. Thank you madam. Neevu helidda praka madide. 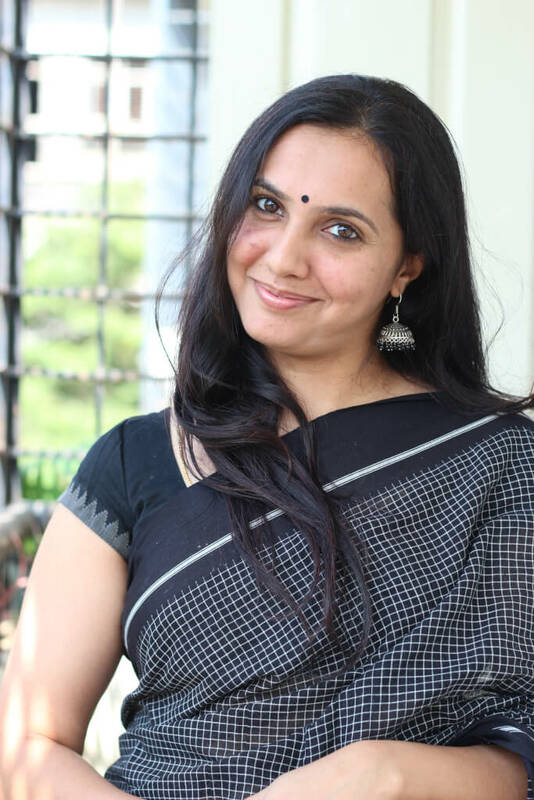 chiranna channagi ide. I cooked as per your instructions. It has turned out welll. thank you madam. An ex- digital marketer by profession and a food blogger, stylist and photographer by passion.